911uk.com - Porsche Forum : View topic - 964 C4 Cutting out. 911uk.com Forum Index > 964 (1989 - 1993) > 964 C4 Cutting out. 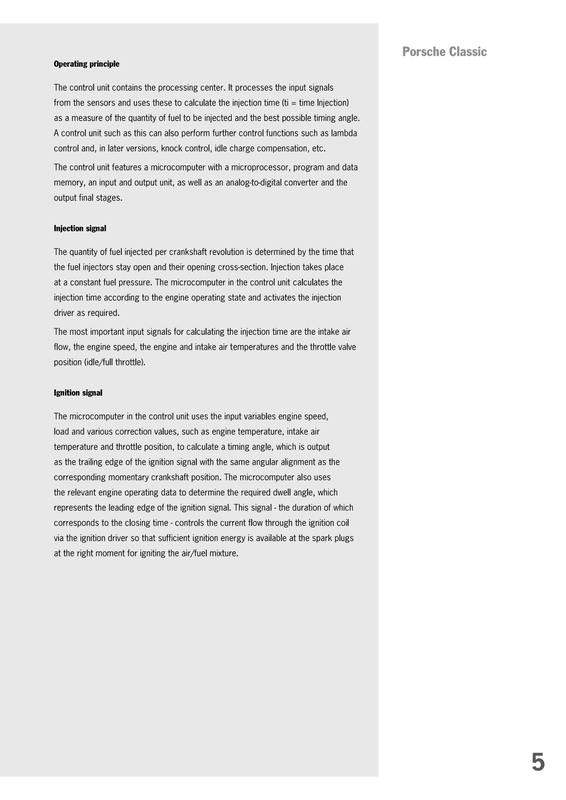 Posted: Fri Apr 27, 2018 12:55 pm Post subject: 964 C4 Cutting out. Good afternoon, just AWOL from the 996 forum for a while to ask for some help with a fault on a 964. 1992 Carrera 4, has been running fine, but stored for a while and the battery has gone flat. On jump starting the car starts and runs, but after about 5 minutes cuts out and wont restart for about an hour, then restarts and does the same. I am waiting for a fitting to arrive for my pressure tester to check the fuel pressure, whilst I wait for that anything else obvious that I should be looking at? The car now has a new battery fitted. Sounds very much like the crank position sensor . usual faults for this are car starts but as it heats up it fails so car cuts out ..
As the sensor cools down it will work again . noid light on an injector wiring plug when the car wont start will confirm this .. you will have no injector switch . You dont tend to get fault codes for this on Any porsche . Thanks for the reply, however been fault finding on it today, and when it cuts out and won’t restart it is due to having no spark, also (unsurprisingly) no juice going to either distributor. So I’m working my way back from there, any thoughts given this new information? 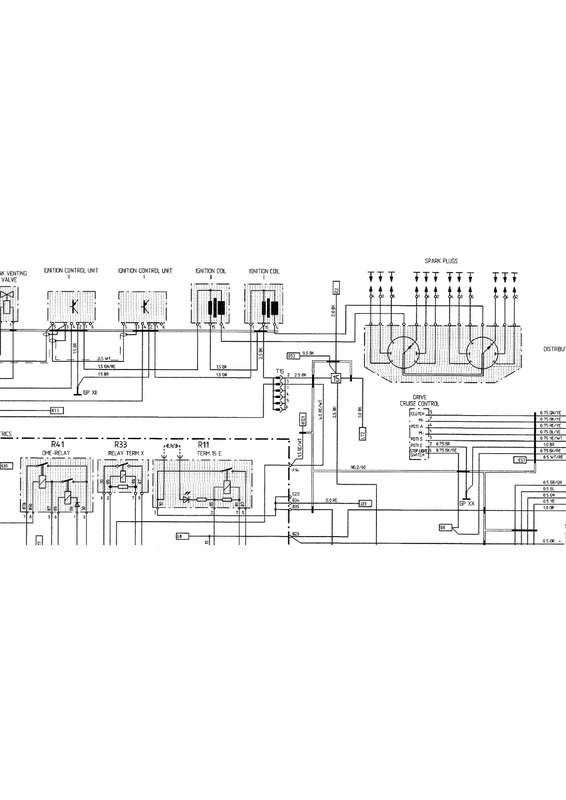 X2 coils .. x2 amplifiers and a twin distributer system is what i see from the wiring diagram .. i take it thats correct as thats all i have to work from atm ? You say the coils have no juice .. there is no voltage at either coil ? both share the same feed if so . Symptoms of a CPS failure also used to apply to amplifiers .. way .. way before i worked on Porsche cars had them on the side of the distibuter and this is a typical kind of failure from what i remember . Anyways post if you mean the coils have no feed and ill continue from your answer . Ok im sorry to say i just googled your engine so i can get my head around it ..
Youll need to get it running and see if you have a spark from both coils . Hi, there is no voltage going to either distributor, nothing at the high tension side at all, so I’ll chase back from there. The thing that I’m a little confused about is the fact it runs for 5 minutes, this to me suggests that it’s possibly a signal once the car reaches a certain temperature that is causing the behaviour. Ok .. on the wiring diagram it shows a sheilded signal wire going from the dme to each amplifier , obviously they need to know when to give a signal for the spark .. points used to do this but im pretty sure we are back to the crank position sensor . Its pin 5 on each amp and a white wire in the diagram above. What you need to do is see if you have injector switching when it doesnt start .. im guessing you wont and its the CPS sensor that has failed and is not telling the dme the crankshaft position and so its not triggering the amplifiers or the injectors. You test injector switch with a noid light in any injector plug . Thanks for this, but I believe it’s electrical (ignition) not fuel related, I’ve pulles a plug wire and connected it to a spare plug, started the engine and it runs and produces a nice fat spark. I sat there for 5 minutes watching the plug and the spark gets less and less strong until it dies and so does the engine. Leave it for an hour or so and it’s back sparking, runs for 5 minutes and dies. So it seems to me that it’s part of the ignition system that can’t sustain itself for more than 5 minutes, could be pretty much any part of the ignition system that is failing. Not wishing to do this forum an injustice, but for more difficult technical issues you should find Rennlist or Pelican Parts more useful. Run the car until it stops .. Coil black wire should have 12 volts , disconnect the wire and check it with a volt meter. Coil green wire and green red go to each amplifier . Pin 1 goes to the coil so a continuity check on each wire both plugs disconnected. Pin 2 goes to earth so ohms check that on each amp. pin 4 is the ignition feed so 12 volts ignition on . Pin 5 is the signal from the dme to Tell the amplifers to trigger and there fore get the spark from the coil .. do a continuity check . Pin 3 is just a sheild wire . remove both distributer caps so you can see the rotor .. get someone to crank the engine aand make sure Both rotors turn .. if one doesnt then you have a broken drive belt in the distibuters . If all the above is corect then you are left with a fault in ..
Or the bit that actually tells the ignition amplifiers to trigger and Also the injectors and thats the CPS . Do the same when you start the car from cold , you should see it move before the car starts . Thank you, I’ll carry out these checks today. Had a very similar problem although it was on a 3.2 Carrera. Ok, had another look at this today, based on your very helpful reply, thank you. Pin 5 is the signal from the dme to Tell the amplifers to trigger and there fore get the spark from the coil .. do a continuity check . Can you just confirm exactly how to do this? Believe I have done it correctly and no continuity, but want to check. remove both distributer caps so you can see the rotor .. get someone to crank the engine aand make sure Both rotors turn .. if one doesnt then you have a broken drive belt in the distibuters . Both are turning, spark on both banks when running. After it dies 10v at the injector when cranking. Pin 5 is a bit difficult , the signal that comes to it is a square wave pattern .. you have to test this with a scope and as mechanics dont have scopes ( its workshop equipment ) then i assumed you dont have one .. if you do then ill talk you through how to test it . Atm all you can do is test continuity but to be honest if you dont have a connection on that wire it will never run .. there no 5 min heat cycle that will make a wire go open circuit . Over all the wiring is fine as tested. Theres 2 things ive have thought were the problem from the start but without a scope its pretty difficult to actually test them . I can see x1 ignition amp failing as it gets hot .. its just not going to happen that 2 fail at the same time so ... if you take off the distributer caps and crank it then if one doesnt move we have a total loss of one coil / dist .. the drivebelt has snapped. In this case i can see an amplifer failing as it gets hot , the other dist. is not working due to the drive belt ... so thats one of the things . 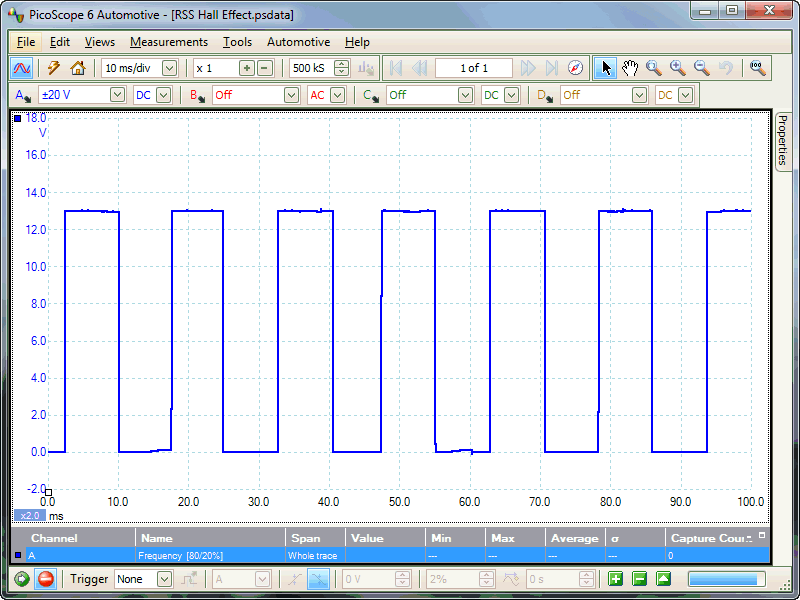 The second is back to the CPS sensor ..
Crank the car and see if the rev counter moves .. if it doesnt its again a CPS. 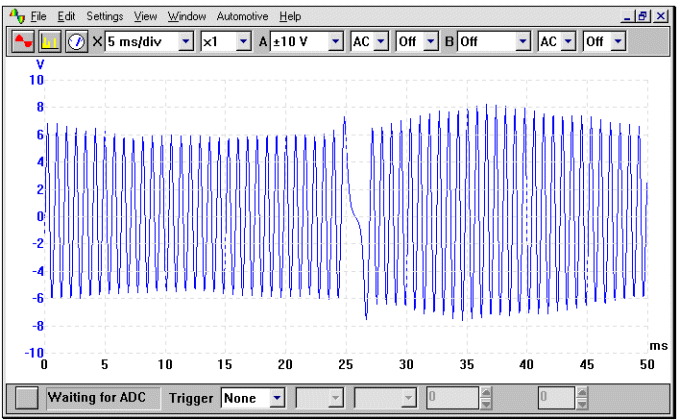 Only other test i can think of ..
car cold , green plug i think n/s of the engine , unplug it and the wire going into the engine then do an ohms test on pins 1 and 2 .. it will be something like 10 ohms , i dont know exactly as these sensors differ from car to car ..
Then refit and run the car till it cuts out .. measure again .. it should have a higher resistance .. this isnt gospel but its the last test i can think of to prove a CPS other than a noid light in the injector wiring . BTW .. if you were wondering about the hall sensor in the distributor and if that could effect it ..
Its there to tell the car position of cyl 1 .. it aids starting and is to do with sequential injection so has no bearing on the cutting out fault ... car will run with it disconnected . 10 volt at the injector is fine but im afraid its the earth switch to it that needs testing , you could try a voltmeter across the terminals but unless its a fast meter it wont register .. hence i use a noid light . To say we had better find this fault you know .. you have done a lot of work but i have a vested interest in getting this dam thing fixed !! Thanks again, on it tomorrow between other things. I do actually have an scope! incase you missed my post .. have you checked the immobiliser ? I had a problem on my car . Used to happen on fresh mornings. Car started fine and drove fine for about 5 mins , then would cut out. Nothing would crank. After a while would start again. Turned out the imboliser had age related damage to a solder on the circuit board. On a cold day As the interior cabin warmed up something in the immobiliser body / circuitry expanded slightly and broke the circuit. Excellent , i never expected you to have a scope so didnt mention it .. hell even i dont have one .. i just use the workshop one . Ok .. pin 5 car in start position ( cold ) then scope it .. probably best on cranking .. if you do it on running you wont have long , 5 mins and you will probably have to mess about with the time setting to get a good pattern . You should see a square wave pattern ..as per image. Scope the cps .. green plug from memory and it should be on pin 1 but you might have to try pin 2 as the diagram isnt that clear . Once you have seen the signals with the engine running then just repeat when it will no longer run. This will tell us if its the Cps or DME not sending out the signal. Tha factory alarm knocks out the dme relay but an after market Imobiliser will knock out any system its wired to so a good point and worth looking at . Heat related would be unusual but its certainly something to consider . So, Ocean....was reading all this from last year. Just curious about how it all ended up. By now you must have got your car fixed. What was the problem?